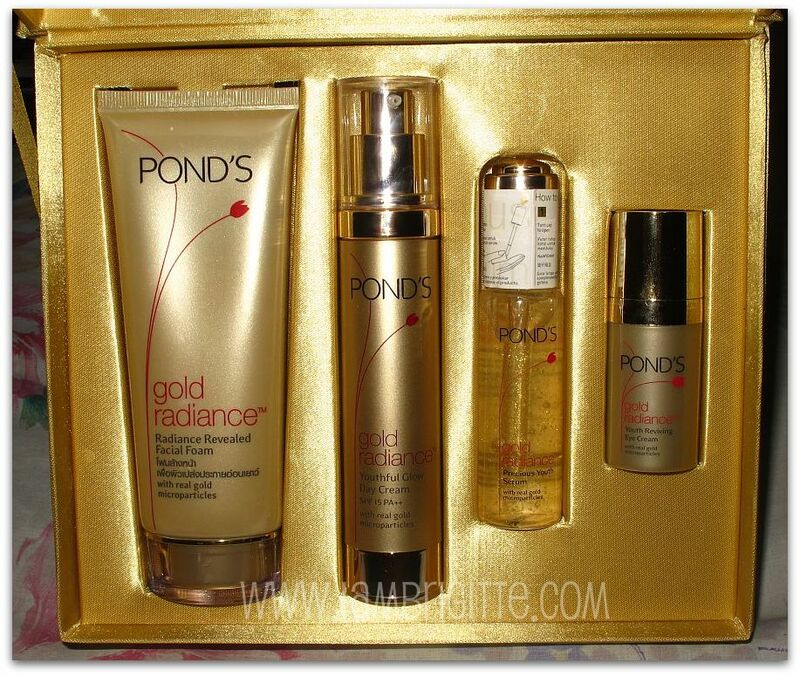 Pond’s Gold Radiance is the first Pond’s product which has real gold micro particles. 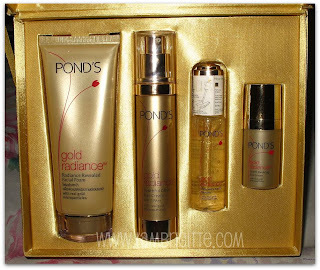 These gold micro particles is blended with Pond’s patented anti-aging ingredients which in harmony fights dullness and recaptures youthful radiance and gives instant glow to the skin. 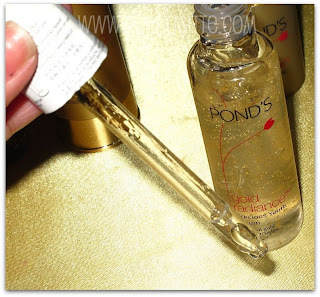 Ponds Radiance serum, which reminds me of the face primer (also with gold speckles) from another luxury brand. 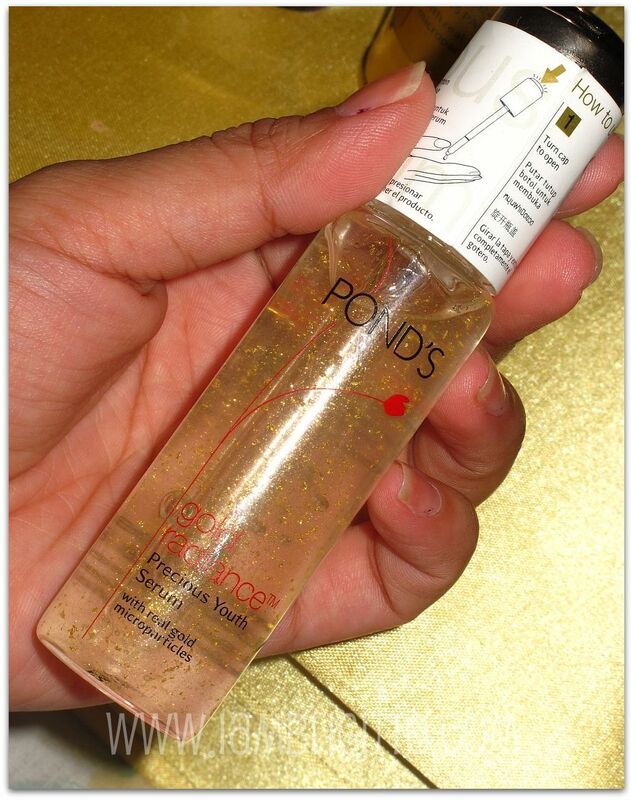 I've tried it a couple of times and it does give the face a brightening effect. Don't get intimidated with the tiny specks of gold, you won't look like a disco ball, i promise! the gold specks make me feel rich! imagine applying GOLD on your skin? But is Gold safe for the skin? Being a natural mineral, gold have no known adverse reactions on skin. Also, the amount of gold in this new line from Ponds have been tested to be safe for all skin types. 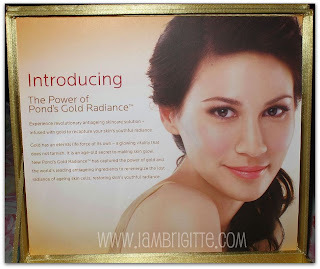 So all you get is instant radiance to the skin while enhancing skin's renewal process and skin elasticity. 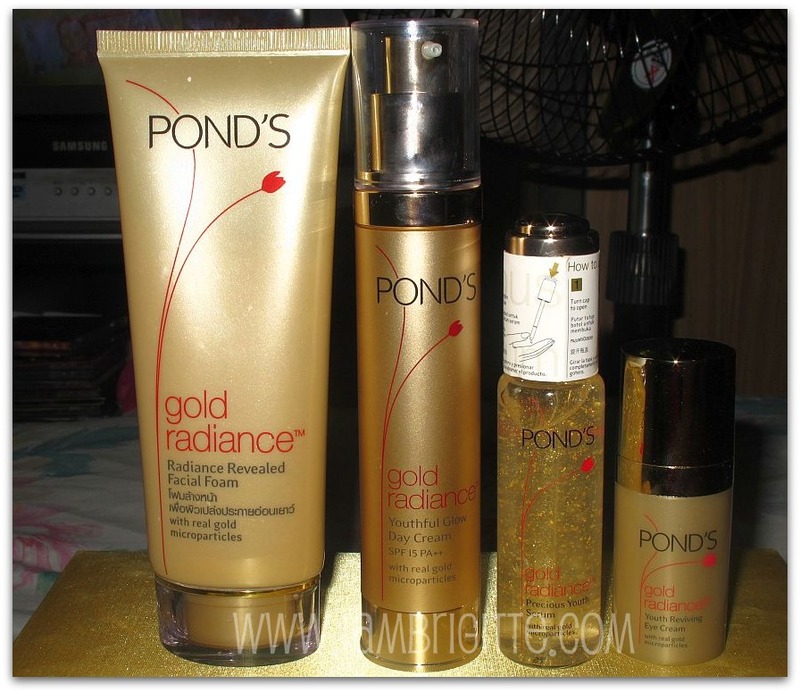 What other ingredients are in Ponds Radiance aside from Gold? I am looking forward to trying this line soon...but I would have to put this on hold since i am currently under skin medication. 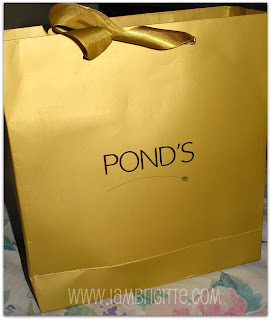 I've been a Ponds user (cold cream, facial scrubs and detox creams) for years now and I'm sure this new line from them is promising! watch out for a review, ladies!